The recent change to the conservation status of Leadbeater's possum from endangered to critically endangered has renewed calls for an extended national park, because some experts argue that both the possum and the forests on which it depends are threatened by clearfelling and bushfires. Others suggest that bushfire is the major threat to possum habitat and survival, and that timber harvesting can continue while providing for the future of the possum. Who's right, and is a big new national park the best option? Possum versus timber or possum versus fire? The possum was once considered extinct but was rediscovered in the 1960s. It has been classified endangered or threatened since the 1990s. It is mainly found across 200,000 hectares of potential habitat in forest east of Melbourne. The possum is a tiny animal, largely found in tree hollows high in the canopy of old-growth mountain ash and alpine ash trees. It is not easy to observe and, while it has been well-studied, there is much to learn about its behaviour and adaptability. The possum population has been severely impacted by the big fires of 1939 and 1983 and those over the past 15 years. For example, the 2009 fires burnt 34% of its potential habitat area and 45% of the forest area reserved for its protection. One estimate of the current potential occupied habitat is 2,225 ha. Timber harvesting in old-growth and fire-killed areas also impacted on habitat. 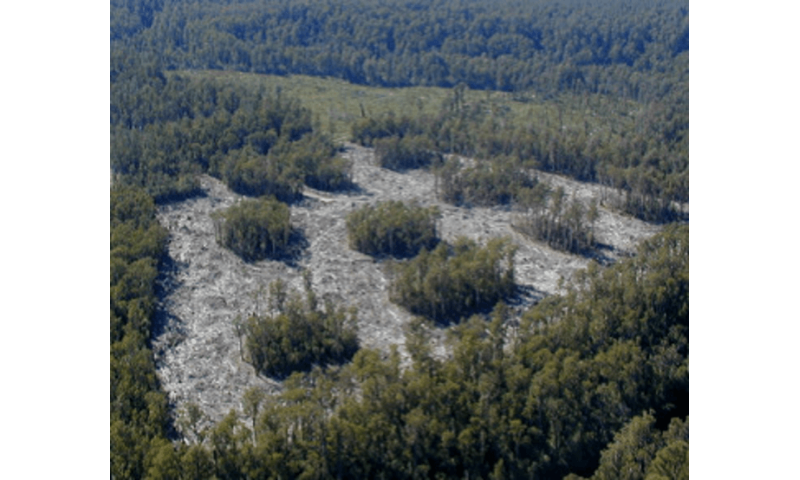 While harvesting now occurs only in regrowth forests, clearfelling prevents trees developing into future old growth and becoming possum habitat some time into the future. Harvesting is projected to occur on about one-third of the potential habitat area over the next 80 years, outside of known occupied possum sites. Future risks for the possum may be high whatever is done. One recent study calculated the probability of hollow-bearing trees dropping below a key threshold of one per hectare in mountain ash forests by 2067, with a medium fire regime, at more than 99% irrespective of timber harvesting. Completely excluding harvesting and fire reduced this probability to 92%. Climate change will further increase fire risk and change species composition, increasing uncertainty about possum persistence in its current habitat. Why did the conservation listing change? The federal Threatened Species Scientific Committee (TSSC) recommended that the Leadbeater's listing change from endangered to "critically endangered" because predicted suitable habitat has declined, or may decline under future scenarios, by more than 80%, primarily due to natural loss of hollow-bearing trees and wildfires. The possum's conservation status is better on other criteria. For example, on current geographic distribution, the species is rated "endangered", for number of mature individuals it is rated "not at risk" and for risk of extinction in the wild it is rated "vulnerable". Some 70% of potential possum habitat is already protected in formal reserves, protection zones or through management prescriptions. In 2013 the Victorian government appointed an advisory group, co-convened by Zoos Victoria chief Jenny Gray and then Victorian Association of Forest Industries chief Lisa Marty, that used a structured decision-making approach to explore a range of options to support possum recovery, while maintaining a sustainable timber industry. 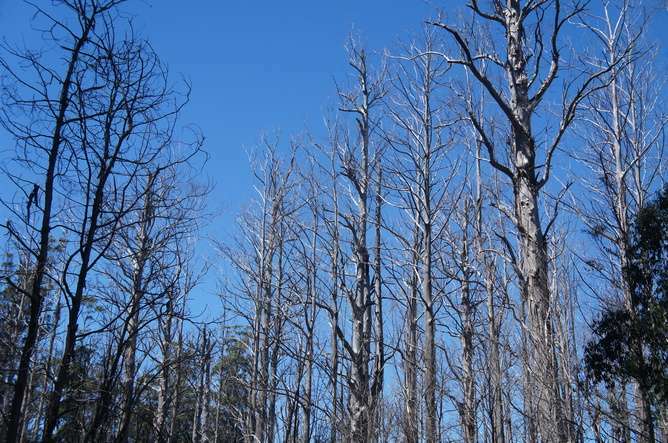 The group recommended improving fire management, excluding harvesting activities within 200 metres of known colonies and within 100 metres of old-growth ash forests, deferring harvesting from high-quality potential habitat, and implementing surveys to identify new colonies. The group also recommended "retention forestry" to increase future habitat by keeping live and dead trees and small areas of intact forest in harvested areas, wider use of nest boxes and acceleration of growth and hollow development in regrowth trees. More broadly, harvesting plans aim to provide for an increase in the area of old-growth ash forest from the current 1-2% to at least 30% of the region, but it will take 50 to 100 years for current regrowth areas to develop into old growth. The advisory group's report has been criticised but these criticisms are debatable, particularly those relating to field survey methods, the impact of the new measures on the level of timber production and the extent of protection for hollow-bearing trees, which the group recommended should be increased. Other options include captive breeding and translocation to potential habitat. Recent surveys indicated that out of 37 potential fire refuges with intact canopy and understorey, the possum was detected in only six locations. Some say translocation doesn't work. If not, this raises the question of how the possum will get from the current 2,225 ha of occupied habitat to other locations. Translocation could go further in the face of climate change. 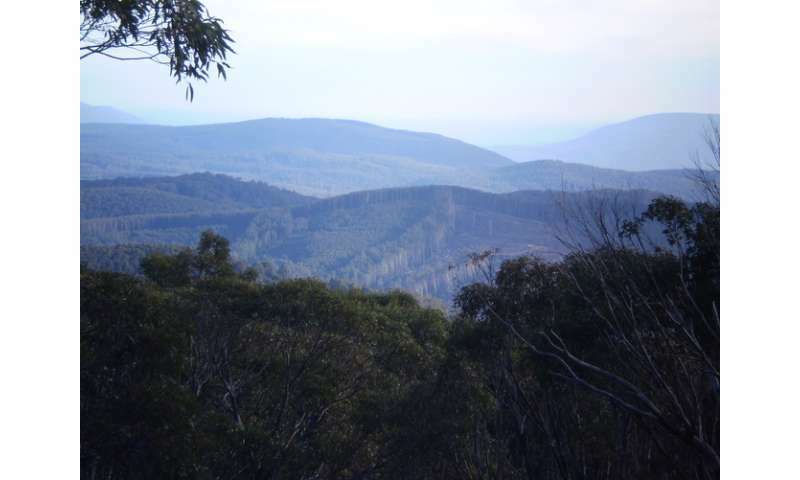 There are large areas of potentially suitable mountain ash habitat in protected areas in Tasmania and the possum could be released there, although this concept is controversial. Can't we just stop logging? About 600,000 cubic metres of timber is sourced from these forests each year, providing products such as windows, furniture and flooring, structural timber and pulpwood. This supports employment in local communities and industries in the economically depressed Gippsland region. There is no immediate substitute for this wood. Hardwood plantations in western Victoria produce only pulpwood and are too far away. Replacing ash timber in the Gippsland region would involve 30,000 ha to 50,000 ha of plantations on cleared private land, investment of A$100-150 million and the first timber would take 30-40 years to produce. Why not a new national park? The possum needs big trees and protection from fire. A change in land tenure to national park will not make trees grow faster or change fire risk. Providing for possum conservation will require significant intervention and adding 350,000 ha to a chronically under-resourced parks system to protect the 60,000 ha of habitat outside reserves will do little to guarantee possum survival. Creating more national parks is an easy option for politicians. It allows them to declare the problem solved and move on. However, effective conservation is a long-term process and making more land national parks has not guaranteed species persistence in other contexts. Simply creating new parks is also contrary to the thinking of many conservation biologists who are now arguing for a landscape approach, integrating conservation with production uses. Creating a big new park to protect the possum is like cordoning off a whole city block to protect a single work of art. Surely, with scientific understanding and imagination we can be more sophisticated than that. Yarra Ranges councillor Fiona McAllister said last year: "I strongly believe the future of our community lies with us being able to come up with a resolution of these issues that meets the needs of both sides." Rather than continue a divisive public debate about more national parks, those wanting to protect the possum would do better engaging collaboratively to determine the best way to reduce fire risk. The right form of timber production, in a limited area, will keep people working in and near the forest, maintain access and firefighting capacity, increase the economic incentives to protect areas from fire and potentially improve possum habitat. With creative thinking and better design of timber harvesting, Victoria could lead the world in demonstrating the integration of conservation with the production of high-value timber in managed natural forest landscapes.